Wake up to ocean views in a beautifully restored heritage lighthouse keeper’s cottage. With quality accommodation available in lighthouses in NSW national parks, you can settle in for a romantic getaway or family holiday full of swimming, bird watching and coastal walks. Their idyllic locations make lighthouses the perfect base for exploring NSW’s coastal national parks and beaches. 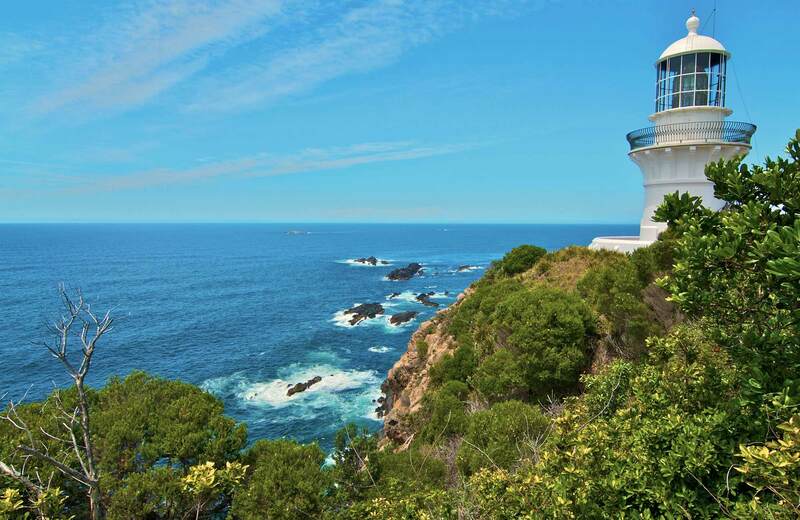 Take a lighthouse tour of Australia’s most easterly point in Byron Bay, or enjoy leisurely whale watching from your verandah at Montague Island Head Lighthouse Keeper’s Cottage. As well as being a historic landmark, Smoky Cape Lighthouse Keepers’ Cottages offer bed and breakfast accommodation, self-contained cottages, and lighthouse tours.